The Caspian Tern is the largest tern in the world at 47-54 cm in length and is easily recognised on account of the massive red bill. In breeding plumage, they have black caps and the bird shown here is in non-breeding plumage. 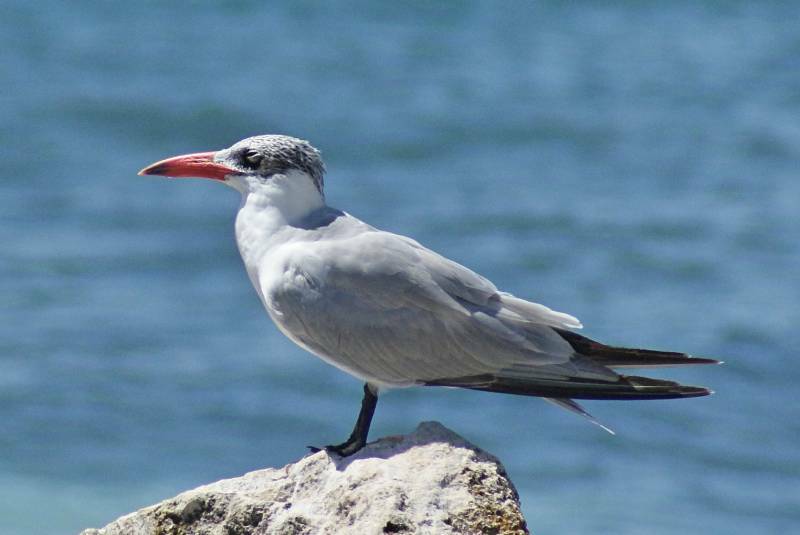 As with other terns, they hunt for fish and can be found along coasts and inland along rivers and large lakes. 1: Rottnest Island, WA, 03/12/2011.